Traditionally, receiving a dental crown would involve a slow process where patients would have to endure long waiting periods and unreliable temporary crowns. Now, thanks to modern technology, dentists are able to place crowns efficiently and within a single dental appointment. In his Albuquerque dental office, Drs. Lafferty & Bleak provides same-day crowns for patients looking to restore a weak or decayed tooth. Same-day crowns allow patients to enjoy the benefits of a healthy smile with better quality and greater comfort. Same-day crowns use CAD/CAM technology and a milling machine to fabricate ceramic crown restorations. When a crown needs to be created, CAD/CAM technology is used to scan digital impressions of the teeth and transfers the impressions to the milling machine. The milling device uses these images to craft a crown from a block of ceramic material that is customized to suit your teeth. How Are Same-Day Crowns Applied? Using a state-of-the-art laser computer system, we diagnose your needs and design a treatment plan with your bite and teeth in mind. 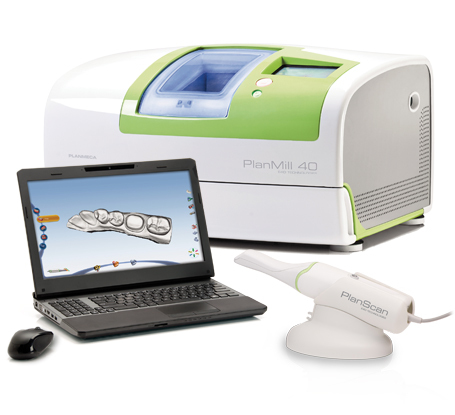 CAD/CAM technology allows crown placement to be more precise and also creates virtual guides that demonstrate how your treatment will be completed. Once Drs. Lafferty & Bleak have prepared the necessary tooth, he will take digital impressions that are transferred over to the milling machine, where the customized crown is accurately crafted. In minutes, your crown is ready to be placed and you can immediately enjoy a healthier smile. With same-day crowns, we are able to save you time in and out of the dentist’s chair. In under an hour, you can restore your smile with the same quality and aesthetic benefits of traditional crowns. 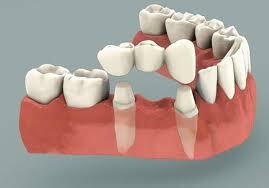 Same-day crowns can last for years and are specifically designed to match your tooth size, shape, and color. No longer do you have to deal with a poor-fitting temporary crown for two weeks. Drs. Lafferty & Bleak have invested in a state-of-the-art laser, computer system, and mill, which allow them to provide high quality, aesthetically pleasing crowns in one day and within his Albuquerque office. For more information about same-day crowns or to find out whether same-day crowns are right for you, contact ABQ Gentle Dentistry, LLC in Albuquerque today and schedule an appointment!